Polygonum arenarium Waldst. ex Kit. Exped. Acad. scient. Petrop., desertum trans fluv. Ural, inter fl. Tavautal et Janian-ssu, 17.VIII.1857, legit E.Borszczow, N 168. 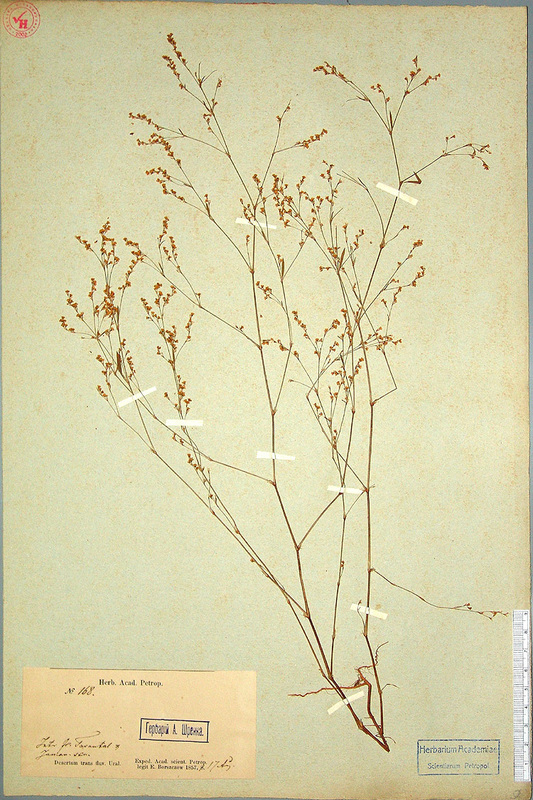 The label is printed, place and date of collection are written by hand.There is a stamp "Herbarium of A.Schrenk" on the herbarium sheet, which indicates that it belongs to the collections of A.I.Schrenk.